Monday - Friday: 11:30am - 6pm, with extended hours on days of shows. The Box Office is open day of show only from 10:00 am to 9:00 pm. 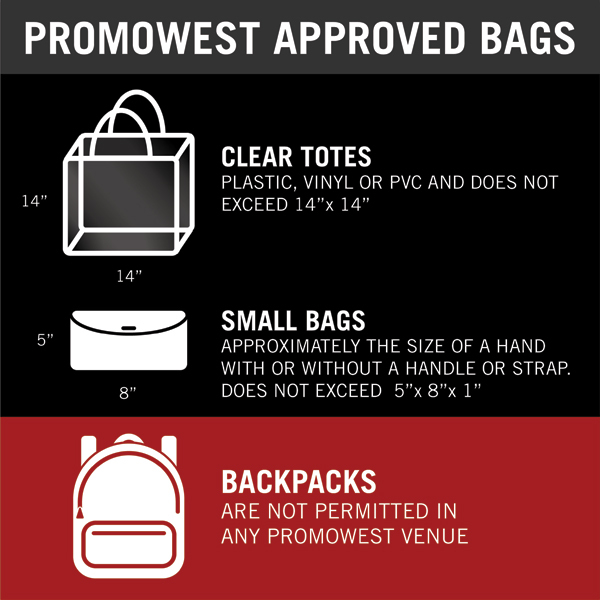 See the approved bags and sizes chart below. And more for info on security FAQs for PromoWest venues, click here.